Born Shimla, India, 1923. BSc. Economics, Wharton, University of Pennsylvania (1947). Keshub Mahindra, the chairman of Mahindra & Mahindra between 1963 and 2012 and a prominent Indian philanthropist, discusses the drivers and challenges of his firm’s evolution from selling and manufacturing utility vehicles to a global diversified business group. He discusses the challenges of state controls during the era of the License Raj in India, his relationship with Prime Minister Indira Gandhi, and his policies towards joint ventures with multinational automobile companies. A consistent theme during these decades was Mahindra’s refusal to compromise on high ethical values. Peter Church, Profiles in Enterprise. Inspiring Stories of Indian Business Leaders (Roli Books, New Dehli, 2015), pp. 232-245. 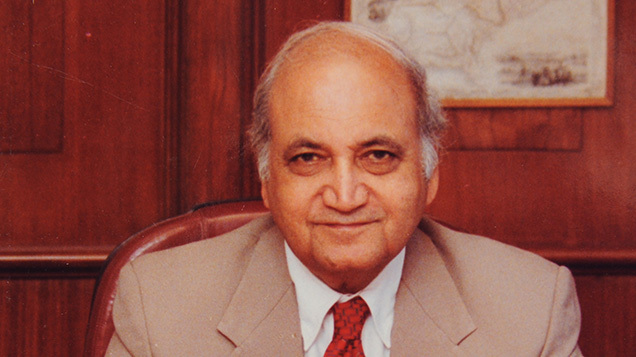 "Interview with Keshub Mahindra, interviewed by Tarun Khanna, Mumbai, India, July 24, 2013, Creating Emerging Markets Project, Baker Library Historical Collections, Harvard Business School, http://www.hbs.edu/creating-emerging-markets/."